These are great quality easels from the same manufacturer as the Winsor & Newton Eden easel. This sturdy fully assemble H frame table easel handcrafted from seasoned oiled beechwood is great for sitting at the table while at home, studio and art workshop. The benefit of table top easel are great for working in small studios or classrooms. 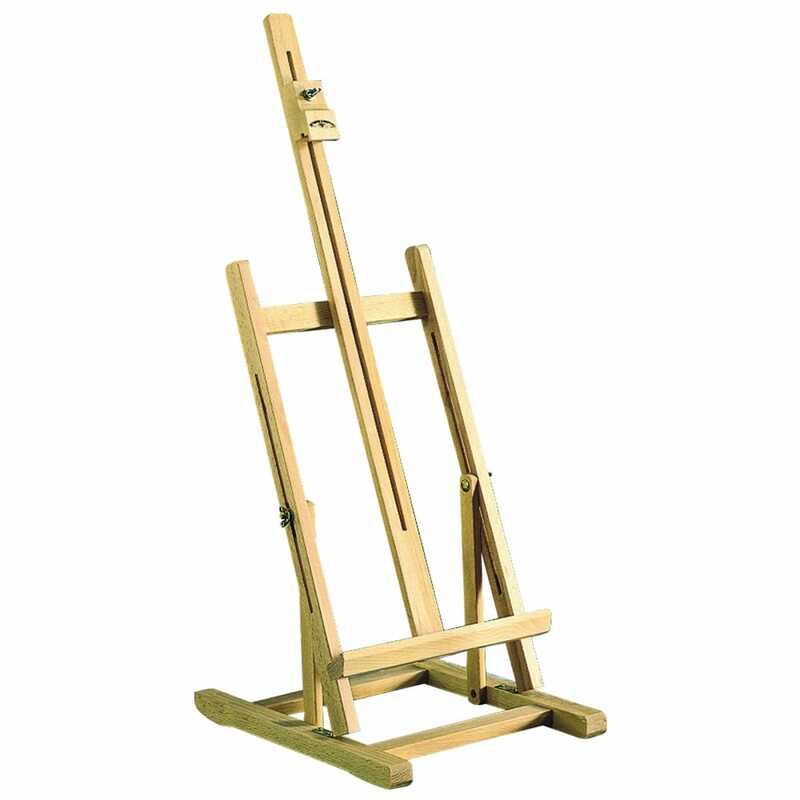 The measurement of the Varde easel is 33cm x 28cm x 57cm(from the canvas support shelf) the easel is adjustable to tilt to a position that best suits you when painting and the base has felt pads to protect the surface you are working on. The easel will take a canvas size of 57cm (22.4”) ideal for working on portrait paintings.